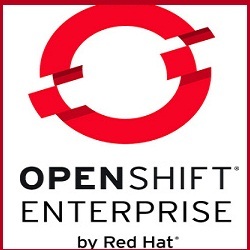 OpenShift offers two different ways to connect the API: command line and via Web. Lets start taking a look the CLI (Command Line Interface). oc: the basic tool; developed to create and manage projects and applications. Is a tool for the developers. oadm: the tool for cluster management. It can manage resources as limits, policies, security. Both are availables in any host of the cluster we have been created, but it can also be downloaded and use them in a remote machine. There are two versions: oc only, for Linux/Mac/Windows platforms, and oc+oadm exclusively for Linux You can download them here. Docker container: You can download the all-in-one image from dockerhub. Download binaries: Red Hat offers binaries to be run in our system. Another all-in-one model available on the OpenShift github. Advanced: It uses Ansible and we are going to do it during this tutorial, because it will be a production-like environment. The most significant changes surround the container model and how they are monitored and interconnected. Kubernetespods are a group of containers that act like a single VM: they have a single IP address, they can share a file system, and they typically have similar security settings. Grouping containers together vastly increases the number of applications that can be brought to OpenShift. Rather than focusing on a microservice model to the exclusion of all other patterns, pods enable developers to port existing applications that need to share local resources while still benefiting from a containerized model. The third important change is in the core system design: OpenShift and Kubernetes are built as sets of microservices working together through common REST APIs to change the system. Those same APIs are available to system integrators, and those same core components can be disabled to allow alternative implementations. A great example of this are thewatch APIs: clients can connect and receive a stream of changes to pods (or other objects) and take action on them as the pods become available (to signal errors or log changes to the system). 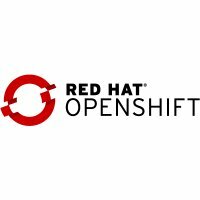 OpenShift exposes fine-grained access control on the REST APIs to enable this integration, which means there are no actions in the system that cannot also be done by an integrator.